Tracing its roots back to the anarchic spirit of the 60s and 70s, for the modern wearer the slogan top still has something to say. Now considered an empowering wardrobe staple for weekends off duty, date-night drinks or workwear with a twist; these cult-buy looks add an element of the unexpected to your tried-and-tested ensembles. More than this, they continue to capture the zeitgeist of the moment with a trend defying appeal. Parisian design house Maison Labiche upgrades love-forever basics with its signature hand-stitched slogans. 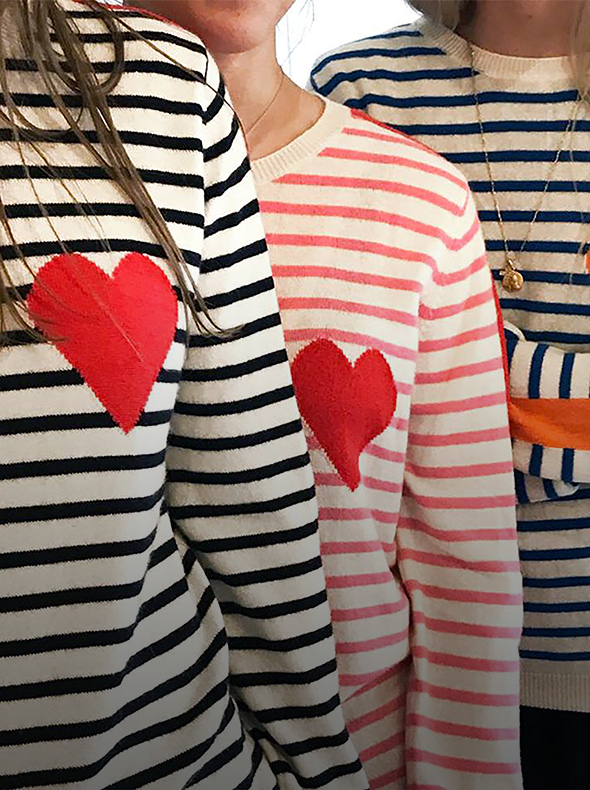 Their all-over-Instagram tees, Breton striped tops and sweatshirts are infused with a lighthearted whimsy and playful tongue-in-cheek. Knitwear label Chinti & Parker is another go-to for similarly laid-back looks that slot into your capsule wardrobe with ease. Looking for an international flavour? Spell out sweet nothings embroidered in French or Italian. For a failsafe outfit formula, we’re opting for slouchy boyfriend jeans and box fresh trainers, conversely, you can counterbalance delicate details with a hard-wearing leather biker jacket and boots. 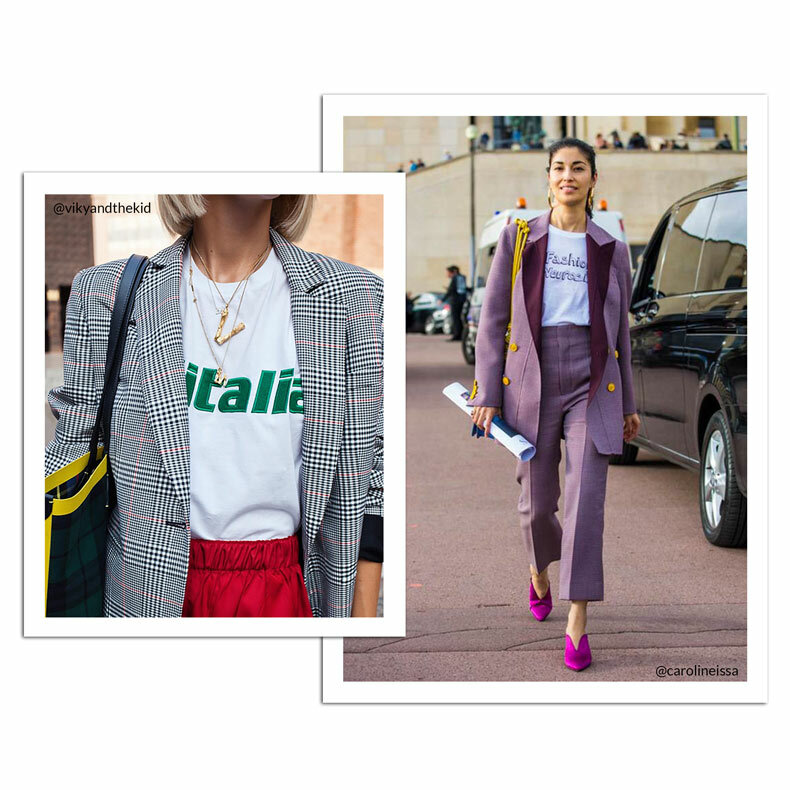 Graphical printed slogans and logo tees let your everyday looks shout loud; look out for sequinned appliqués and colourful preppy lettering from the likes of Uzma Bozai, Sundry and South Parade. 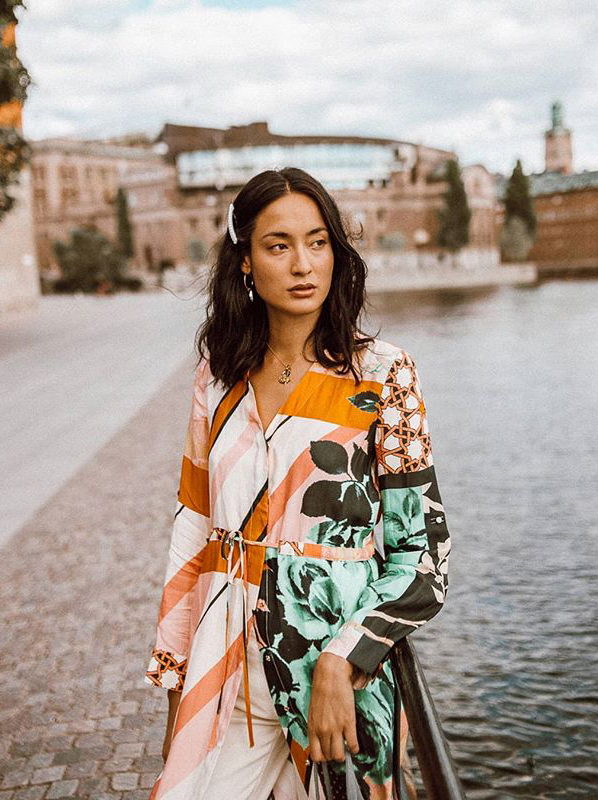 Get experimental and style out a juxtaposition by choosing ditsy floral counterparts and feminine silhouettes. A wrapped midi skirt and elegant heels take these statement-making looks into street style territory, while pairing with head-to-toe tailoring will enliven your office attire.